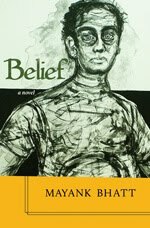 My friend Lisa de Nikolits has recently started The Minerva Reader, “a site showcasing unsung literary heroes,” and she featured my debut novel Belief on the site earlier this week. 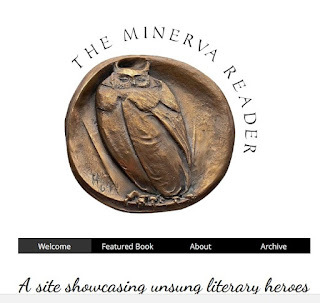 “But why call it Minerva? Because back in 1995, in Johannesburg, South Africa, I saw an advert for a publishing house in London, UK. They called themselves Minerva and were incredibly good at passing themselves off as the traditional publisher which was also called Minerva, only the latter was legit and they published beautiful, unusual literary works. "The shysters I contacted operated a smooth scam and I was taken for a ride. Later reports say “They went bust (in 2002) because they were a scam. They were sued by more than 40 of their authors, and were the subject of two exposés on the BBC.” And that’s good to know! A sensitive, eloquent and timely novel. Beautifully written, Belief brings moving insights not only into the lonely immigrant experience, but, in particular, examines in detail the religious and racial tensions that Muslims suffer today The book also explores familial relationships that carry the unwieldy weight of traditions and legacies from former homelands, as well as the scars from battles fought there. Marriage, aging, love, complicated sibling tangles – all these are magnified and brought into focus under the microscope of Mayank Bhatt's thoughtful observations. Novelist Mayank Bhatt, who immigrated to Canada from Mumbai in 2008, delivers a taut, timely debut focused on one immigrant family and the devastating experience that threatens to destroy the life they have struggled to build in their new country. Nevertheless, by the fall of 2008, the Latifs are relatively settled, with a home they own and jobs that promise more than mere survival. The family’s comfortable existence is thrown into turmoil when it is revealed that Rafiq may be involved in a terrorist plot to blow up a number of locations in and around Toronto. Rafiq’s questionable treatment at the hands of the justice system, and the family’s fear regarding the potential repercussions from his alleged crime, illustrate their terribly vulnerable position in Canadian society. At the novel’s end, the future for the Latifs is undetermined. It is clear that their lives have been irrevocably altered, though not entirely for the worse. Through the experience of arrest and interrogation, Rafiq is forced to re-evaluate his religious faith, as well as his understanding of his parents; in so doing, he gains a clearer perspective on the older generation’s struggles. Bhatt’s illuminating, plain-spoken novel could be instrumental in generating substantive discussion about the immigrant experience in a country that is still a long way from understanding what that really entails. Quill & Quire, reviewer Dana Hansen. Publisher, Mawenzi House. If there's no place for Junaids in India, whither India? Fifteen-year-old Hafiz Junaid was lynched in a railroad coach a day before Eid by a mob that saw in him only a Muslim and therefore an enemy. They didn’t see him as a child that he was, a mere lad, callow and uncertain, with a long life before him that they – the ferocious mob – extinguished with such force that the photographs of the railroad coach in which he was lynched seemed bathed in blood. The murderers were remorseless. They killed him because they suspected he was a beef eater, and because he was of a different religion. The police didn’t see any religion in Junaid’s murder and blandly reported a death. In India, murders of the minorities whether religious or caste-based are commonplace, and so Junaid’s death will quickly become a statistic and forgotten. But let everyone who believes in the idea of India as a place where differences are accepted (as opposed to merely tolerated) and allowed to flourish protest in every which way they can. This is not how you treat a 15-year-old lad. If a 15-year-old wants to sit down in a railroad coach, you offer him a seat; you don’t launch a murderous attack on him and his brothers. A people who allow this to happen have ceased to be human, and are complicit in Junaid’s murder. A leadership that remains unperturbed over such a heinous crime is diabolical and complicit in Junaid’s murder. What exactly is my right to voice concern when I’m thousands of miles away in a remote city in North America, safely ensconced in my home, secure in a society that at least seemingly respects the law of the land and protects my rights as a visible minority? Perhaps I don’t have any right to talk, leave aside question or protest what is happening in India, a place which is inside me despite the nine years I’ve lived away from it. India doesn’t leave you, ever. I’ve tried hard, I try hard every day. But it stays embedded inside you, hardwired in your brains. And so, whether the Indians recognise my right or doesn’t grant me one, I will protest in the only way I can – by writing about it, by talking about it, by telling everyone who will listen, and everyone who won’t. Let Junaid’s murder awaken all those who believe that right to a dignified and safe life is a prerequisite of a civilised society. If a society cannot ensure dignity and safety of its citizens, it has no place in a civilised world, howsoever exalted its hoary past may have been. India must end this madness of hatred against Muslims. Every Indian – whether living in India or outside – must realise that this hatred is destroying India, and do all that is necessary to stop this hatred. Junaid could well have been your son, your grandson, your brother. How would you feel is your son, grandson, brother had been so mercilessly lynched? The last time I met Piroj was in 2013 when I was in Bombay. 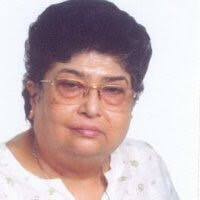 I was getting ready to meet her next month when I’d be in Bombay again after a gap of four long years. But my friend has decided to leave, abruptly and all too suddenly. We met at what used to the Wayside Inn, that unique Kala Ghoda eatery that had turned into a nondescript Asian food place. We were happy to meet each other, after so many years. We couldn’t recall when we had last met before that afternoon. I’d called her in 2011 when I was in Bombay, but we couldn’t meet then. Decades had gone by from the time when we worked together at The Daily, where she’d become the features editor. Her sojourn at The Daily wouldn’t last long because by then (the late 1980s, early 1990s), the tabloid had transmogrified into something rather strange; different from what it was during RK Karanjia’s times. There were swift turnarounds in the editorial department, many talented and some not-so-talented journalists came and left. Piroj, along with a few others, were holding a rapidly crumbling edifice of a once-great institution. She left to return to active entertainment journalism, the field she had come from. At our lunch in 2013, it didn’t seem like we were meeting after decades. We picked up threads of incidences from our shared past. I had ceased to be an active journalist for nearly two decades. I was keen to know about people who were once so important to our professional lives. Piroj knew where everyone was and how they’d reached where they were. The afternoon evaporated in reverie and nostalgia. It felt great talking to her. We left promising each other to exchange emails more frequently and, of course, to interact on Facebook. But life has its own agenda, and when you live in a different time zone, it becomes impossible to translate your concern into anything tangible. She sent me a clipping from a feature she did on Parsis in Hindi cinema for a Parsi magazine in Dubai, and we did exchange emails on occasions. She wrote about her deteriorating health and how she was actively scouting for assignments. I tried to assist her by reconnecting her with common friends but nothing apparently came of it. I wish I could’ve been of help to her. Farewell, my friend. You’re being missed. To those who respect status quo, diversity is a contentious concept that connotes the absence of merit, tokenism, arbitrary categorisation and even exclusion. On the other hand, to its advocates, an absence of diversity is a perennial dominance of majoritarian culture and an enforced opacity that prevents conversations about different identities that make up the Canadian mosaic. In a multiracial, multicultural society, diversity is necessary to ensure that different cultures and voices find adequate representation. 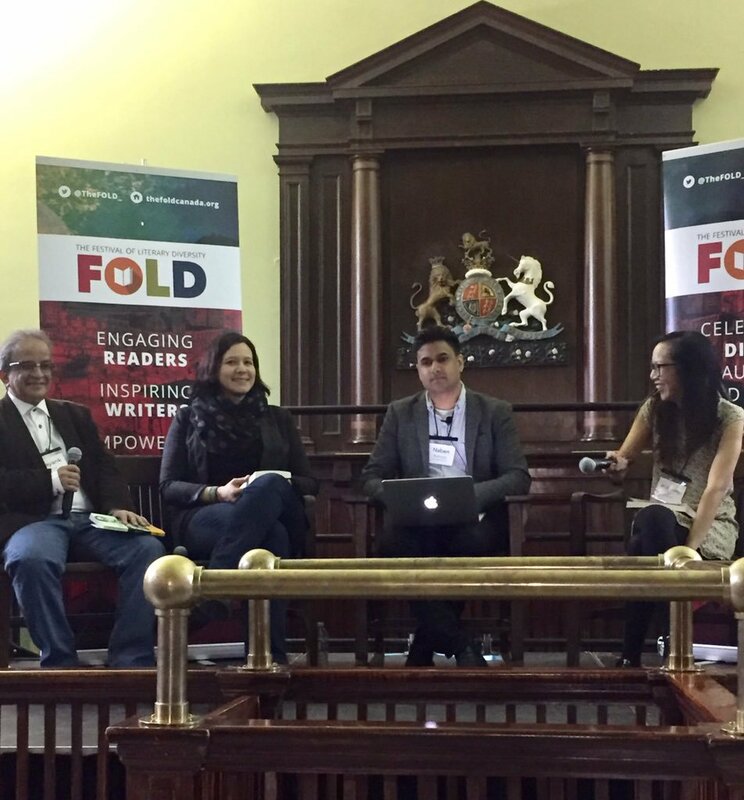 In the world of writing and publishing, the absence of diversity is probably not as glaring as it was some years back, although opinions would differ. In the Canadian context, many small presses are aggressively putting out works of authors from diverse backgrounds. It doesn’t mean that it’s time now to sit back and rest; a lot more needs to be done and ceaselessly. In this context, Jael Richardson’s The Festival of Literary Diversity is a breakthrough event that has suddenly created space for Canadian authors from a diverse background. I interviewed Jael prior to the first FOLD for TAG TV (watch the interview here: Jael Richardson). Her dedication and commitment come through in the interview. I attended the first edition of the festival in 2016 and was enthralled by the level of participation – both by authors and readers – at the festival’s main venue, the PAMA. See post about the first FOLD here: Faith and Fiction. Thanks to my publishers Mawenzi House, I was invited to the second edition of FOLD as a panellist. It was my first-ever participation in a literary festival as a published author, and it was undoubtedly a privilege to be on the same panel with Canada’s latest literary phenomenon Katherena Vermette, whose The Break has won many accolades; and Jen Sookfong Lee (Shelter). The subject of the discussion was What a Crime, and the moderator Naben Ruthnum, a journalist-author, who had read all the three works and asked pertinent questions. Of course, Katherena and Jen were far more evocative and interesting in their responses as compared to me. I also participated in several other panel discussions and was able to meet and interact with many authors such as Amanda Leduc, Eden Robinson, Kamal Al-Solaylee, Gary Barwin, and my friends Farzana and Sheniz.